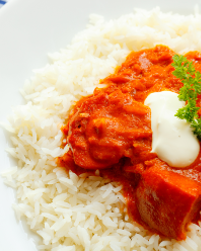 Indian Cuisine Tutorials: Punjabi Cuisine - Butter Chicken/Murgh Makhani - Simply Fahad-istic! This is Post No. 5 in Indian Cuisine Tutorials series.A new one each day! 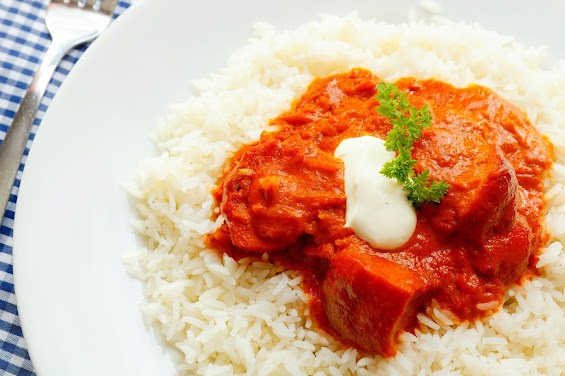 This tandoori chicken(Refer previous tutorial) ,an appetizer,is often added to a rich tomato and butter gravy to make the world famous main course dish,Butter Chicken!It is also called Murgh Makhani;'Murgh' meaning chicken,and 'Makhani' meaning enriched with butter. This delectable dish is usually garnished with cream,chopped green coriander,ginger juliennes,green chilies and/or dried fenugreek.It tastes best with naan or paratha,the Indian flat breads.